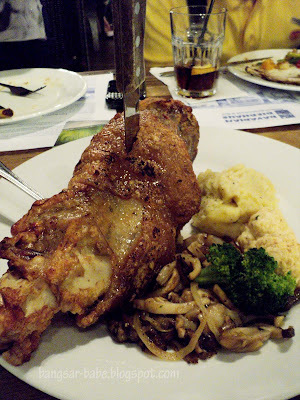 After eating pork knuckles in Germany, I found it difficult to really enjoy the pork knuckles here. Many times, it is either dry, tough or stringy. Or all of what I just said. 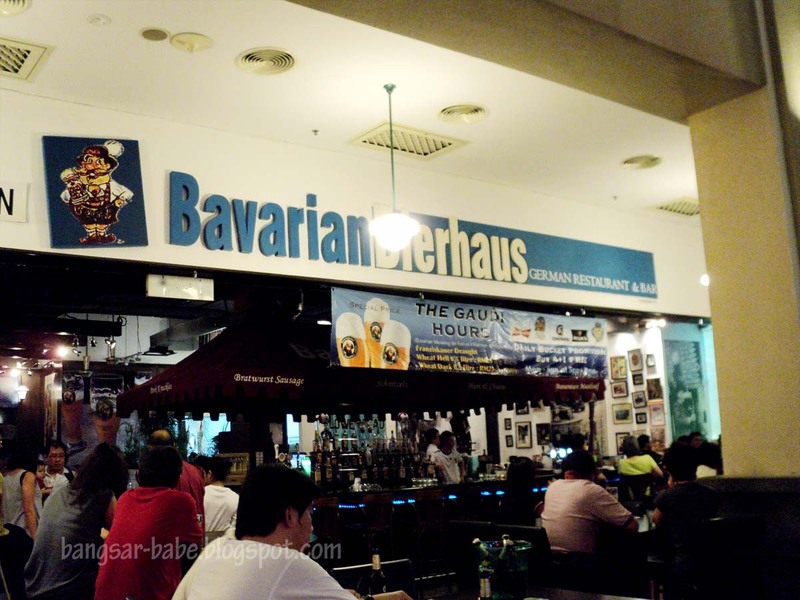 But I heard pretty good things about the pork knuckles at Bavarian Bierhaus in The Curve. Good thing we called to make a reservation — the place was packed on a Saturday night. 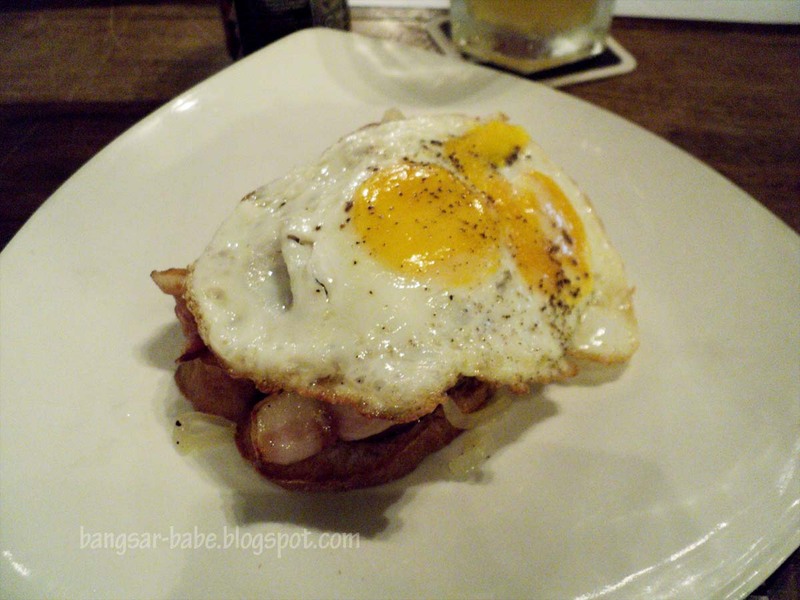 Since it was still happy hour, a pint of Hoergarden costs RM25 (usual price RM28). The Pork Knuckle with Garlic and Herb Sauce (RM65) had a lovely crackle, which slowly melted in my mouth when I bite into it. Beneath the beautiful crackling, the pork was tender, fatty and juicy. Very nice with the brown sauce and mustard. The tangy sauerkraut helped cut through the richness of the meat. Mashed potato was creamy and fluffy, just the way I like it. 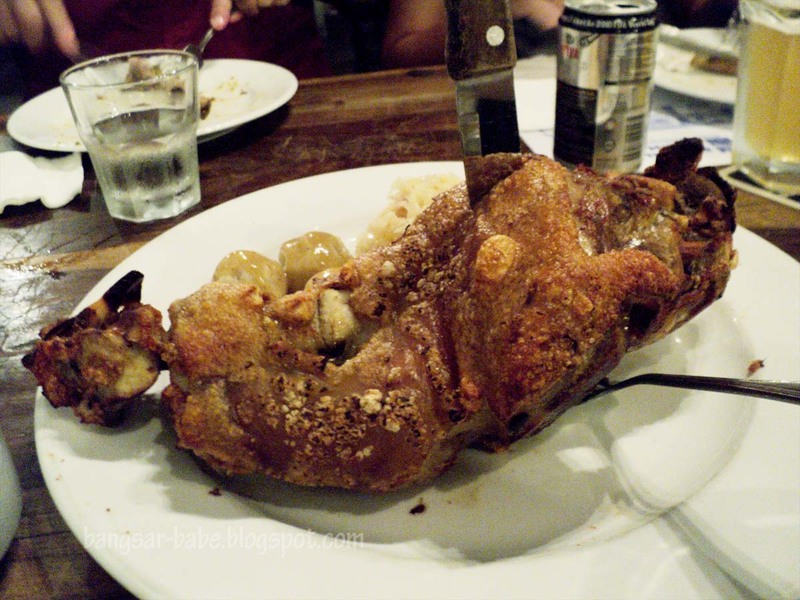 Also good was the Pork Knuckle with Smoked Bacon and Honey (RM65) — the honey pepper glaze gave the pork knuckles a slightly sweet and smoky taste. The potato ragout was lightly crisp on in outside and fluffy on the inside. Very moreish! Sausage Platter(RM79) comprised six different sausages – German farmer sausage, garlic sausage, pork cheese sausage, Numberger sausage, lamb sausage, spicy chicken sausage and white sausage with a side of potato salad. 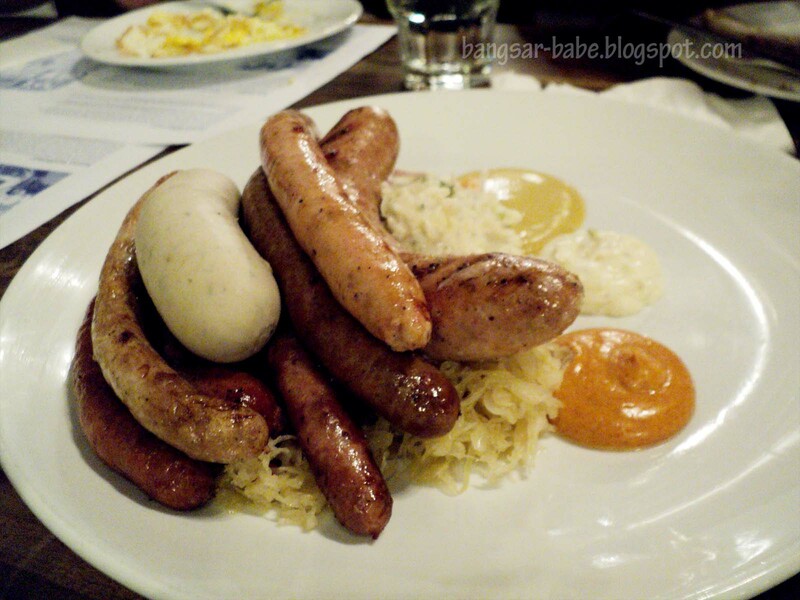 The mustard, garlic mayonnaise and Habanero mayonnaise paired well with the sausages, especially the white sausage. 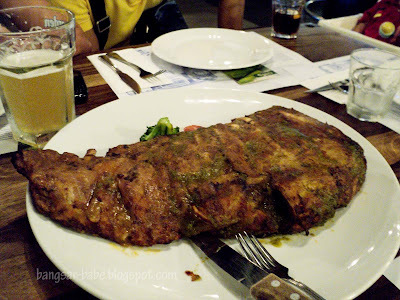 Baby back ribs (RM70) were well-seasoned, right down to the bone. The ribs were sticky and slightly sweetish with a tangy undertone. A little messy to eat, but it was pretty good stuff. One minor gripe though: I thought the meat could have been more tender — the edges were a bit stringy. The bacon and fried egg was ordered for rif’s little niece. I didn’t try the potato soup, so I can’t comment on that either. 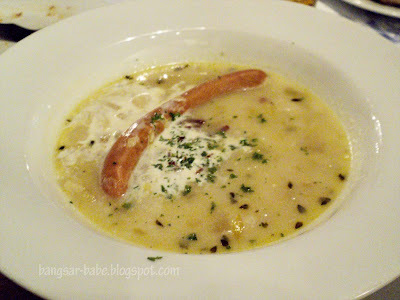 I found the food decent and the ambiance, casual and relaxed. I wouldn’t mind coming here again, but definitely not when there is a football match on! Verdict: Try the pork knuckles and ribs. Pretty good stuff. I love the food here… Jenn had the bacon and fried egg while I had the Venison Medallion.. u should try the venison! well football is only back in a couple of weeks, so better revisit or dont come on weekends! vialentino – Yeap. Super huge! leo – Thanks for the recommendation!